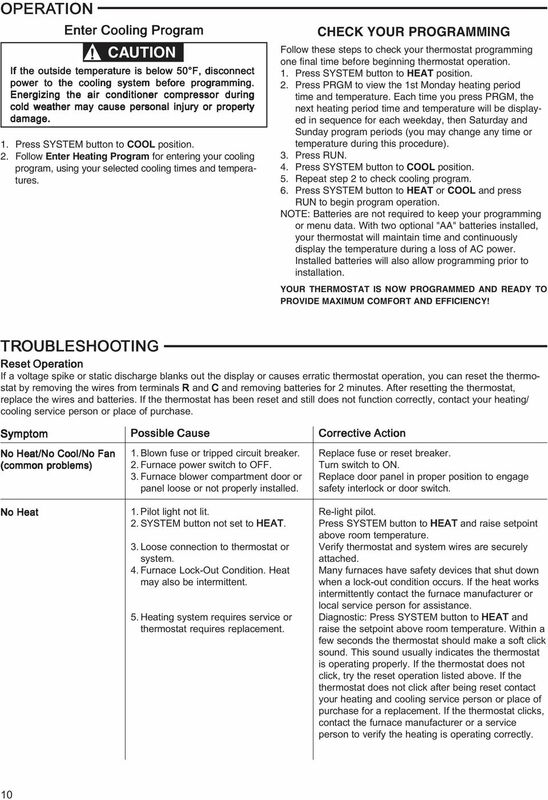 Download "YOUR THERMOSTAT REPLACES Assemble tools required as shown below. HAND OR POWER DRILL WITH 3/16 INCH DRILL BIT, IF NEEDED"
12 FAQ Symptom My thermostat is reading in Celsius. How do I change it to Fahrenheit? 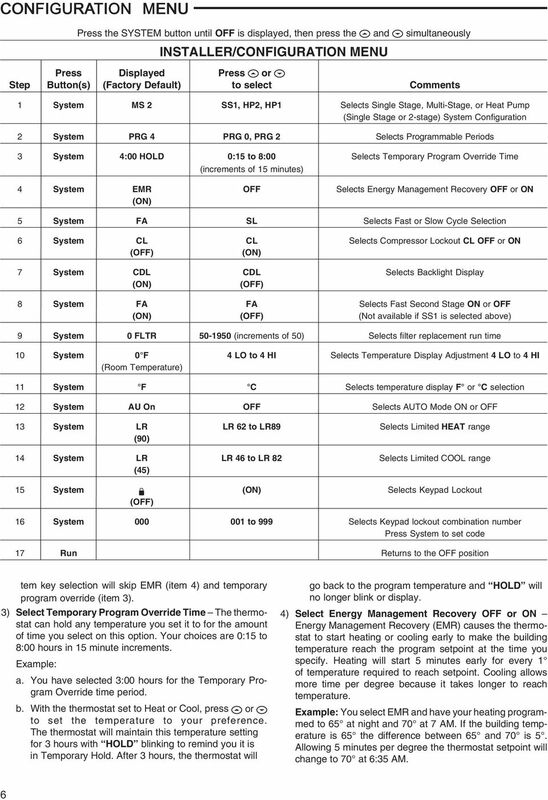 Do I have to program a stop time for each program period? 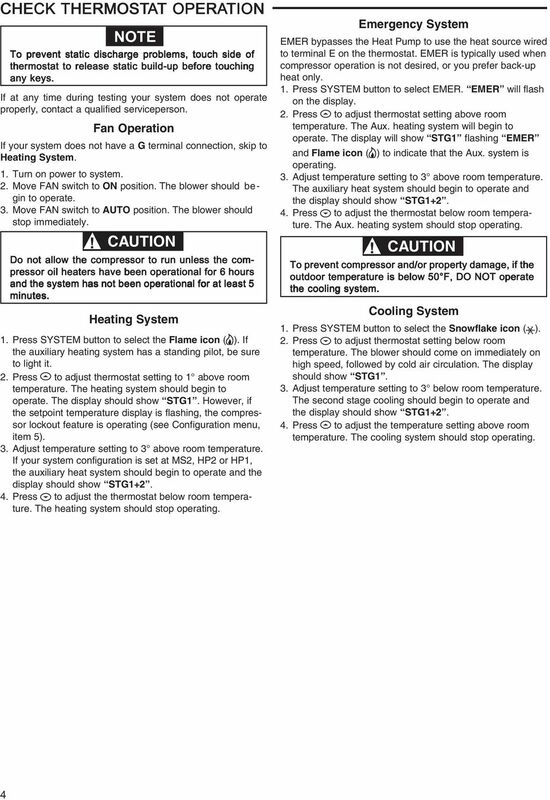 My thermostat does not follow it s program. What should I do? Between heating and cooling seasons, I want to turn my system off. Will this change my program? My display light does not work. Can it be fixed or replaced? 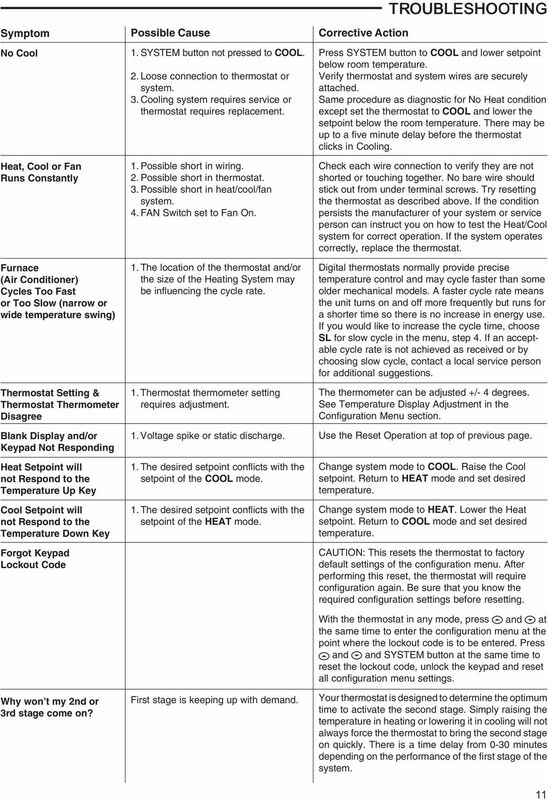 Do I have to reprogram my thermostat after I change the batteries? My setpoint temperature is flashing. What does that mean? 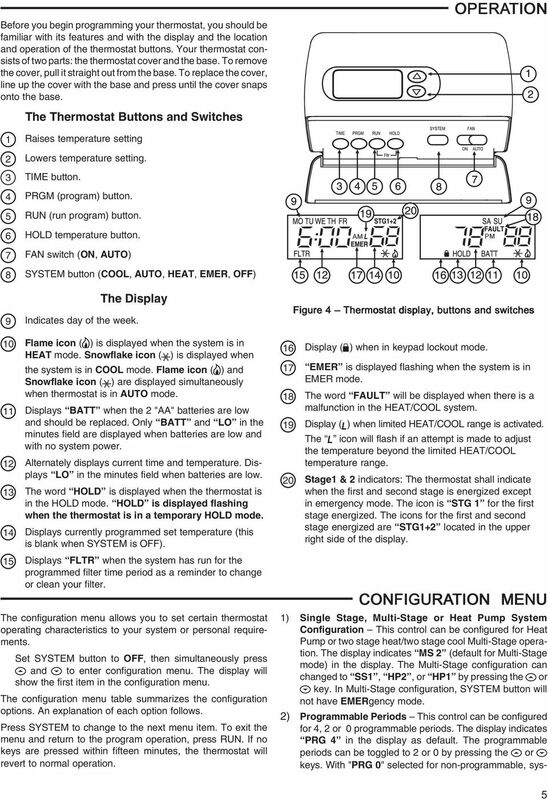 How can I get a copy of the Operating Manual for my thermostat? My program or configuration menu is all messed up, how do I start from the beginning? Corrective Action Your thermostat display can be set to display temperature in Fahrenheit or Celsius. 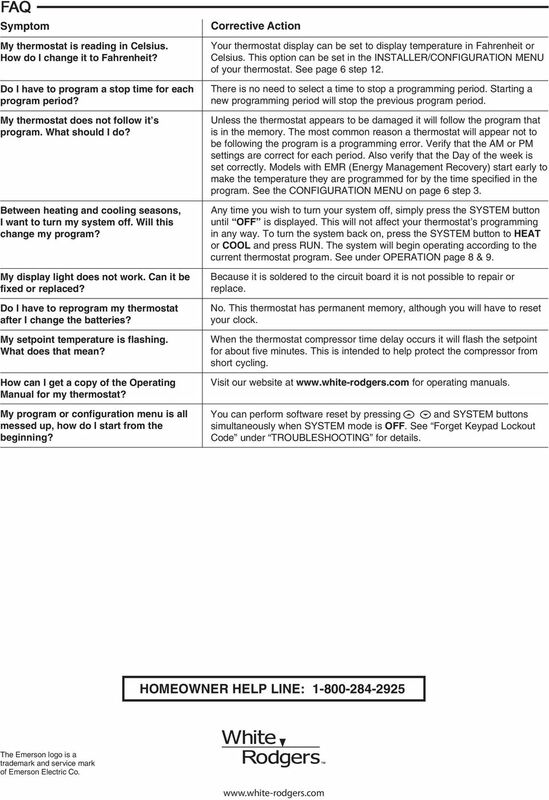 This option can be set in the INSTALLER/CONFIGURATION MENU of your thermostat. See page 6 step 12. There is no need to select a time to stop a programming period. Starting a new programming period will stop the previous program period. 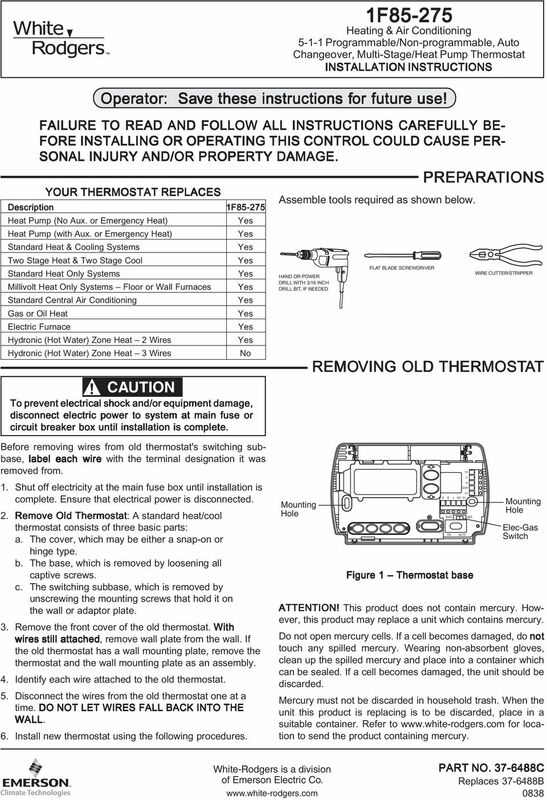 Unless the thermostat appears to be damaged it will follow the program that is in the memory. 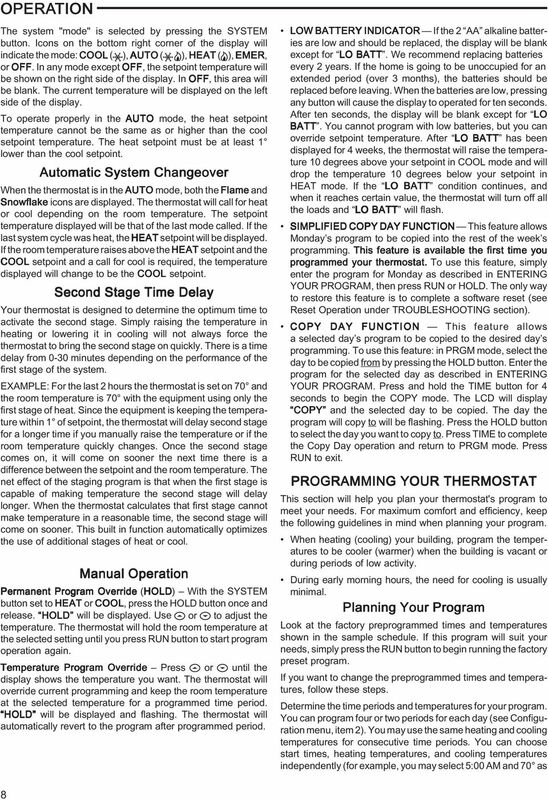 The most common reason a thermostat will appear not to be following the program is a programming error. 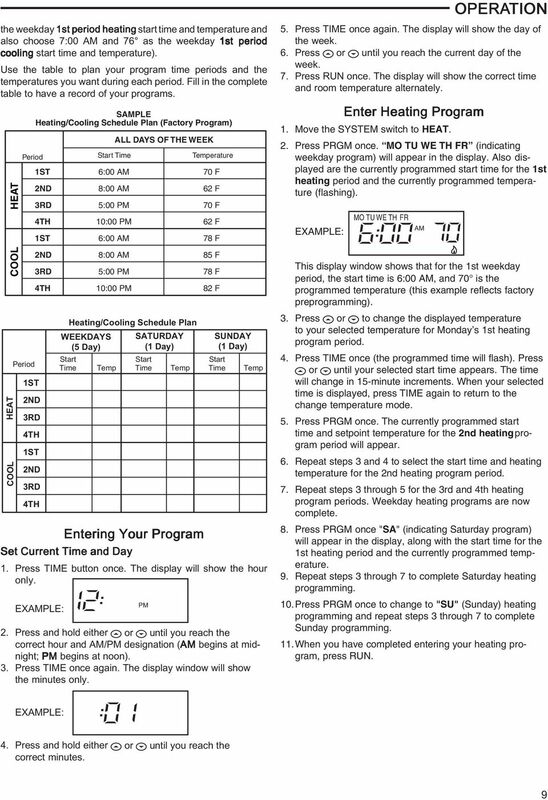 Verify that the AM or PM settings are correct for each period. Also verify that the Day of the week is set correctly. 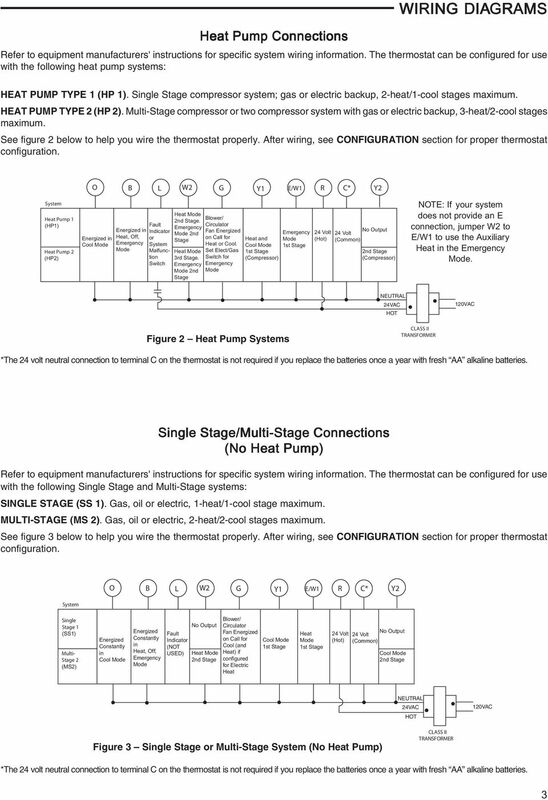 Models with EMR (Energy Management Recovery) start early to make the temperature they are programmed for by the time specified in the program. See the CONFIGURATION MENU on page 6 step 3. Any time you wish to turn your system off, simply press the SYSTEM button until OFF is displayed. This will not affect your thermostat s programming in any way. To turn the system back on, press the SYSTEM button to HEAT or COOL and press RUN. The system will begin operating according to the current thermostat program. See under OPERATION page 8 & 9. Because it is soldered to the circuit board it is not possible to repair or replace. No. 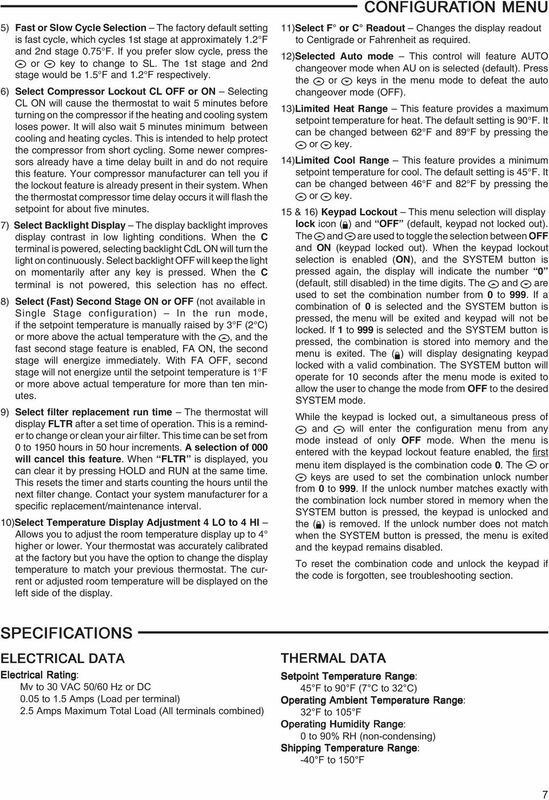 This thermostat has permanent memory, although you will have to reset your clock. When the thermostat compressor time delay occurs it will flash the setpoint for about five minutes. This is intended to help protect the compressor from short cycling. Visit our website at for operating manuals. You can perform software reset by pressing and SYSTEM buttons simultaneously when SYSTEM mode is OFF. See Forget Keypad Lockout Code under TROUBLESHOOTING for details. HOMEOWNER HELP LINE: The Emerson logo is a trademark and service mark of Emerson Electric Co. 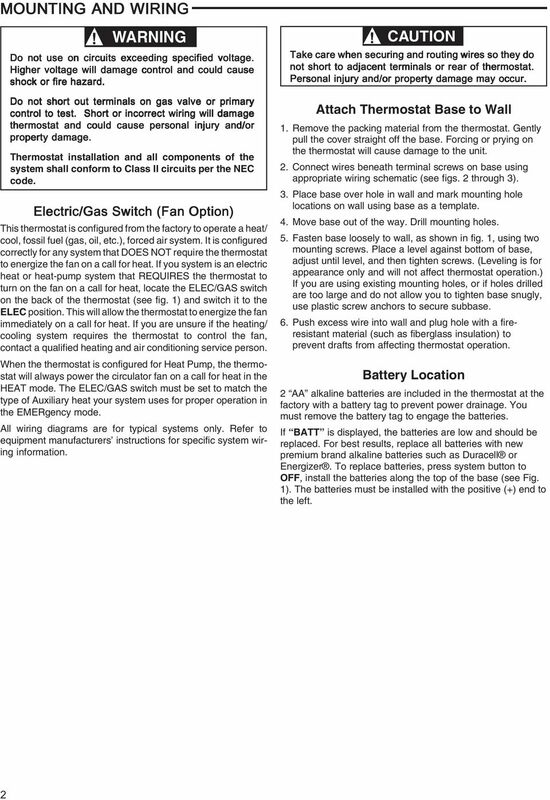 IMPORTANT SAFETY INSTRUCTIONS WARNING READ AND SAVE THESE OPERATING AND SAFETY INSTRUCTIONS BEFORE USING THIS HEATER.